This #TeamLawtonTuesday we are thankful to be surrounded by a community that truly cares for our students and teachers! After hearing that Cleveland Elementary's Student Council was without their primary fundraising source, the staff at Lawton KIA stepped in to help out. They surprised the Falcons yesterday with a brand new popcorn machine. #PopcornPickleDay is back in business and the students couldn't be happier. 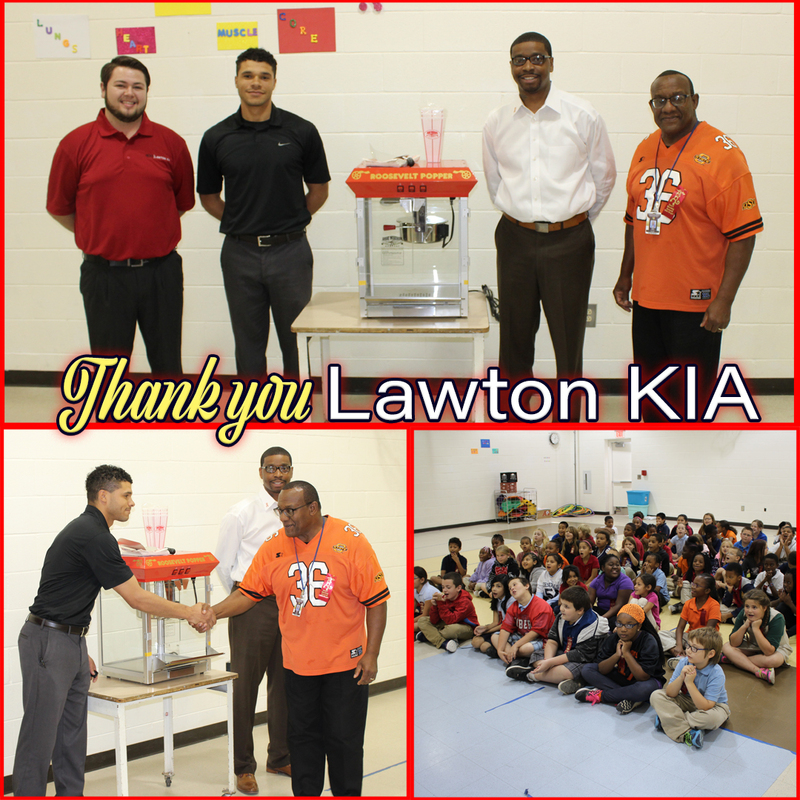 Thank you Lawton KIA!